Tune in to the podcast for full information on recent photography news! GoPro has enhanced its GoPro Plus subscription service to allow for the replacement of 2 broken cameras. As of Feb. 12, 500PX is removing all photo classes from its website. A photography workshop leader in Hawaii died after being overcome from fumes from the local volcano. RGG EDU is giving away a $300 8 hour photography course for beer photography. Sign up at rggedu.com. Skydio is releasing a new drone referred to as a flying camera. A science photographer has photographed a single atom! Time lapse photography is a great way to visual events that may take considerable time in reality. Jim discusses taking time lapse sequences of the life cycle of a monarch butterfly. Monarchs are amazing insects that migrate between Canada and Mexico over several generations. They begin life from an egg about the size of a pin head laid on a milkweed plant. The emerging caterpillers increase in size around 1600xs then crawl away and pupate. 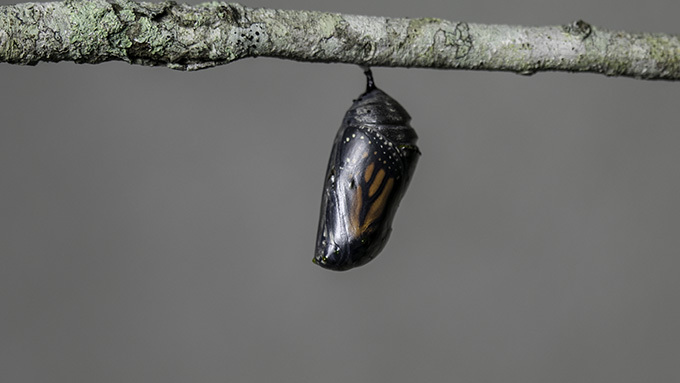 Ten to fourteen days later, they emerge as a beautiful monarch butterfly and the cycle repeats. An expanded version of this time lapse instructional video will soon be placed on the new Fotobug YouTube Channel - subscribe today! In recent news, Zion National Park clarifies it's tripod ban. Tripods are only banned on certain trails only. Velbon will distribute the Chairpod HY 127 in the United States for $180. The US Copyright office will soon allow images to be uploaded for copyright protection - 750 images for $55. Reuters has been banned from the Olympic Opening Ceremonies due to a photographer who leaked photos. That photographer has been banned from the games. Director Steve Soderbergh is shooting his movie Unsane entirely on the iPhone. For more news and details, watch the podcast! Jim and Fred interviewed the creator of the Indiegogo project Instamic a few episodes back and now that they have had a chance to use them for several interviews, they are present their opinions. 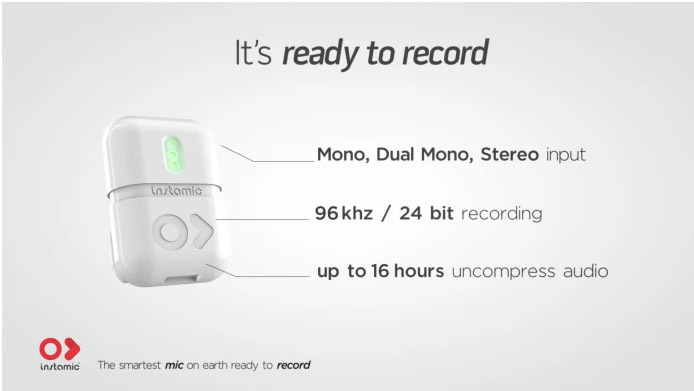 The Instamics will soon be available commercially, but the Pro model can still be purchased on Indiegogo! If you use the video feature on your camera, we can recommend the new Instamic!